There’s no denying that it’s been a whirlwind few months since the Just For Tummies range was launched. With so many exciting developments and opportunities popping up left, right and centre, there have been days when I feel as though I don’t know where to turn. Now, don’t get me wrong – I thrive on being busy; there’s nothing I like more than to feel my brain whirling and channelling my creative spirit but I have been dealt a timely reminder with the take-off of Just For Tummies – keep things simple and, where possible, focus on one thing at a time. This is exactly what I did when I embarked upon an exciting new collaboration with MyShowcase, a business that supports brand founders like myself and gives consumers a new way to discover and buy products – a growing network of female ‘Stylists’, based all over the UK, organise showcases in homes or offices to present their handpicked selection of independent brands to customers. 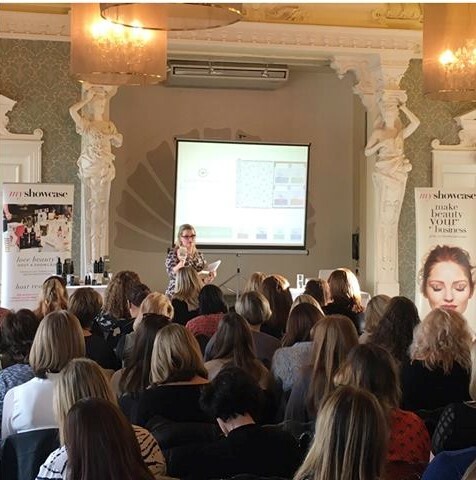 Towards the end of last year, when things had really shifted gears and we were spinning all kinds of plates in the Tummies realm, I was approached by Kate Shapland, former beauty columnist for The Telegraph and co-founder of MyShowcase. She had seen my range of products and loved the story behind how Just For Tummies had come to be, and wanted to know if I would be interested in joining forces. Kate and her business partner, Nancy Cruickshank, founder of the fashion and beauty portal, Handbag.com, are strong supporters of female entrepreneurs whose passion and experience can be seen and felt through their brands. When Kate explained that they were looking to extend the range of products they sell at MyShowcase beyond the beauty market and venture into health and wellbeing, I saw it as a great opportunity to bring my Tummies range to a wider audience. The timing of these conversations aligned beautifully with the development my Perfect Balance Kit – comprising Live Bacteria, Digestive Enzymes, Omega 3 and Garlic, accompanied by a brochure to explain how the Kit should be used. Aimed at people wanting to cleanse and heal inflamed digestive systems or bowels, the Kit is also extremely effective for people struggling with the symptoms of IBS, or those prone to UTIs or other infections and conditions. Kate and Nancy were keen to ‘showcase’ the Perfect Balance Kit – and it is now being sold via the network of MyShowcase Stylists. The products are also available individually for those who do not need the full-blown Kit. I am thrilled that my range is a part of this female-led business. When Kate and Nancy asked me to take part in two MyShowcase brand training days (one in London, one in Birmingham), I saw it as the perfect opportunity to not just meet the two founders in person, but also the Stylists. These are the women who are ‘showcasing’ the Tummies products and I was keen to help them broaden their understanding of how the supplements in the Perfect Balance Kit work, both as a combination and individually, and the positive impact good gut health brings to overall wellbeing. The events were attended by hundreds of women of all ages from all walks of life. I got such a buzz from being surrounded by so many friendly, motivated, like-minded women. We were all there with a shared purpose – to make a difference to the way women feel about the way they look, the way they feel and the way they address their overall health. At Just For Tummies we are delighted to be working with MyShowcase and the team of over 1,000 stylists – a number which is set to double over the next year – to create more awareness and education about the importance of digestive and bowel health. I can’t wait to see what the coming months bring – I’ll keep you posted!